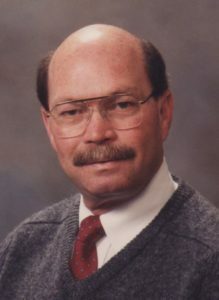 Charles “Chuck” Edward Smith, 77, of Amarillo passed away on Saturday, February 9, 2019. Memorial service will be at 2:00 P.M., Wednesday, February 13, 2019 at Boxwell Brothers Ivy Chapel, 2800 Paramount Blvd, with Russ Pennington officiating. Arrangements are by Boxwell Brothers Funeral Directors, Amarillo. Chuck graduated from Amarillo High School and earned his bachelor’s degree from West Texas State. He loved ranching as a young man, racing motorcycles, coaching his son, and golfing. Chuck had a long career of serving others in many areas including accounting and sales. He was a member of St. Andrews Episcopal Church. He is preceded in death by his nephew, Christian Griffith. He is survived by his son, David Smith and wife Beth; granddaughter, Emma; sister, Elwanda Griffith and husband Roger, of Amarillo; uncle, Ed D. and wife Betty Smith, of Matador; aunt, Teddy Spraberry, of Lubbock; and several cousins. Even though I didn’t know Charles in the later years, I have very fond memories of grade school and junior high. I know he will be missed. Love and prayers to his family and friends. Rest In Peace old friend we had lots of good times in high school. It was good visiting with you a few weeks ago you will be missed. Next PostNext Ralph Lee Schultz Jr.